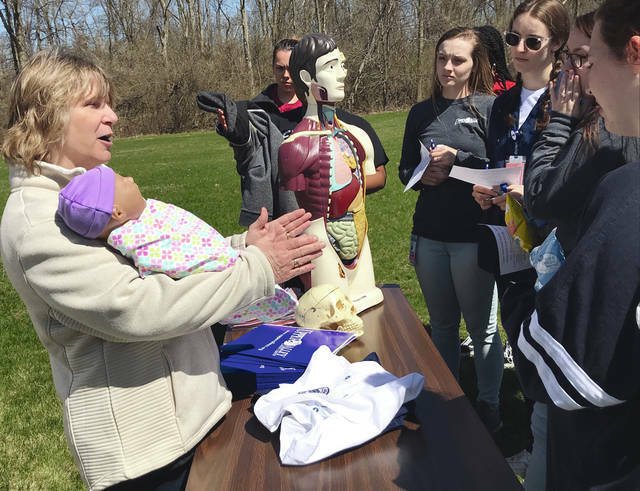 https://www.dailycall.com/wp-content/uploads/sites/30/2019/04/web1_nurse.jpgMelody Vallieu | Miami Valley Today Lori Ludwig, MSR, RN, CNE, director of the nursing program at Upper Valley Career Center’s Adult Division, speaks to seniors at UVCC about the practical nursing program and how “Baby Luke,” a computerized doll, is used to teach nursing students labor and delivery skills. 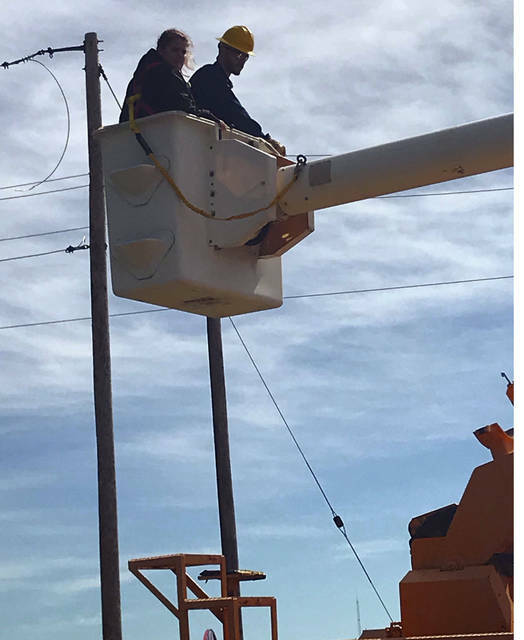 https://www.dailycall.com/wp-content/uploads/sites/30/2019/04/web1_Truck.jpgMelody Vallieu | Miami Valley Today Tyler Siegel of Fort Loramie takes Sidney High School student Adreanna Murphy up in the 60-foot bucket truck donated by the city of Piqua for use in the Electrical Power Line Mechanic program at Upper Valley Career Center’s Adult Division. 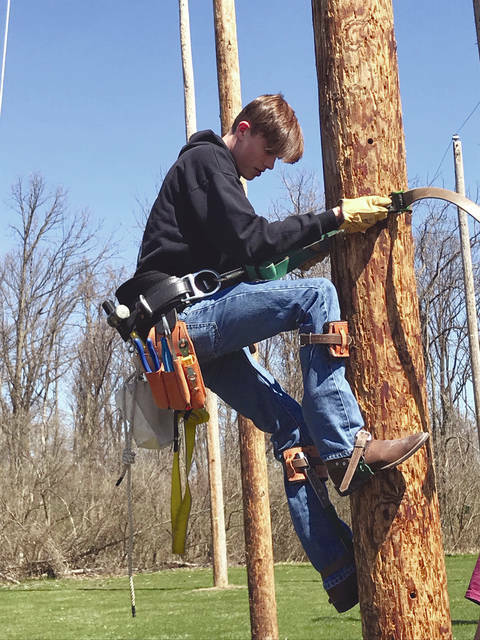 https://www.dailycall.com/wp-content/uploads/sites/30/2019/04/web1_Line.jpgMelody Vallieu | Miami Valley Today Taylor Coleman of Troy, a senior student at Upper Valley Career Center, climbs an electrical pole during a career day event at the center’s Adult Division. After climbing, Coleman, who said he already was interested in the Electrical Power Line Mechanic program, said he will be applying for the next classes to begin in August.